Notes: Middleton Hall is a Grade II* listed building dating back to medieval times. It is situated in the North Warwickshire district of the county of Warwickshire in England, south of Fazeley and Tamworth and on the opposite side of the A4091 road to Middleton village. The Manor of Middleton was held by the de Freville family until 1418 and came to the Willoughbys by virtue of the marriage of heiress Margaret de Freville to Sir Hugh Willoughby. The Willoughbys had extensive estates in Nottinghamshire and elsewhere, their principal seat being Wollaton Hall, Nottingham. In the mid 17th century the hall was home to Francis Willughby, the famed mathematician and naturalist, and his descendants the Lords Middleton. 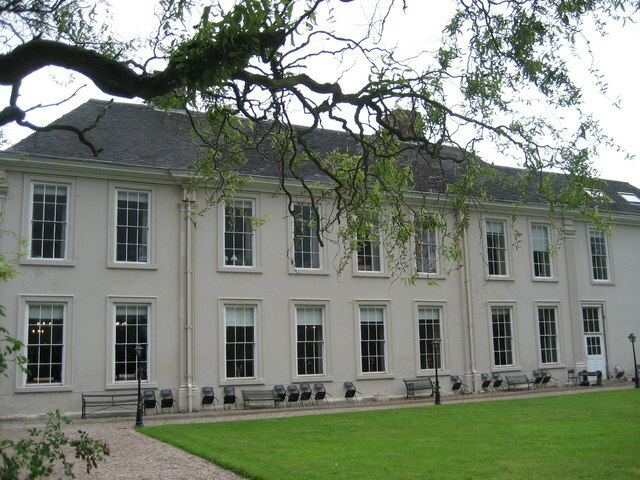 The hall was also for a time the home of the Parson-naturalist John Ray. The Georgian West Wing dates from the late 18th century. In 1812 the estates and the Barony passed to Henry Willoughby of the Birdsall, Yorkshire branch of the family and Middleton declined in importance in family terms. The Middleton and Wollaton estates were sold in the 1920s. See under Middleton village for more historical details.